Take it with you: Pick up organic broccoli and heirloom tomatoes at the . What the…?! : Lions and lynxes roam at (tour $10; 800/228-7382). If you stay in one of the cabins, an elephant will—no kidding—bring you breakfast. Lunch with a (wow!) view: Pick up Cuban pork sandwiches from Portobello’s ($; 1366 S. Main St., Salinas; 831/753-0797) and head to (37700 Foothill Rd., Soledad; 831/678-4555). 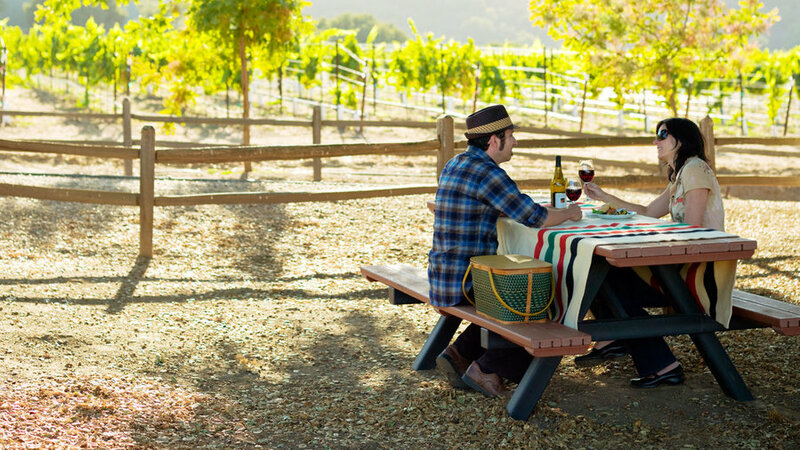 Claim one of the picnic tables under the wizened oaks perched over the harvest scene and pop a bottle of aromatic, red-berried Hahn 2007 “SLH” Estate Pinot Noir. Visit the harvest close up: Get behind the scenes with and see how many crops you can spot (we counted 23 in under two hours). Check out the efficient teams sabering, bagging, and boxing iceberg in the field; learn how few hours elapse between soil and Safeway for strawberries (yep, strawberries in September here); and vow to keep your day job when you find out that a single baby lettuce “mower” costs $400,000. From $60. Make it a weekend: Give in to some coddling at the , the impressively restored Victorian “Versailles” of an early valley bigwig. Don’t miss a peek at the wine cellar. From $250, including breakfast; 831/455-2100.